Don't miss the opportunity to see these wonderful displays and enjoy the holiday atmosphere in the heart of our Midtown community! This is a rare opportunity to get together with Peter outside of a PDC course! PDC graduates will come with questions, ideas and challenges to share with Peter. This is a PDC graduate seminar that is open to everyone. Topics will likely include permaculture design for urban and suburban contexts, community organizing strategies, and problem solving for specific site design issues. An exciting opportunity to pick the brain of one of the best. We are asking for $15 a person, but no one will be turned away for lack of funds. He is currently on a book tour for his new book Permaculture Handbook: (http://permaculturehandbook.com/). Please let me know if you are planning to attend! You can contact me at jon@greentri.org or 330-559-4628. I look forward to seeing some of you again! Judi Strauss, The Charmed Kitchen, will be there, freecycling, seed swapping and probably selling some of her books, bakery etc. The Menu for the Future + Working Group will meet at the Bridgeport Cafe, 7210 Kinsman, on Tuesday, Dec. 11 at 8 am. We have some exciting opportunities that we will explore to address the issue of food literacy in Cleveland in addition to continuing to support Menu for the Future groups. Everyone is welcome! You may have missed the workshops but don't miss an opportunity to read "The Good Food Revolution". 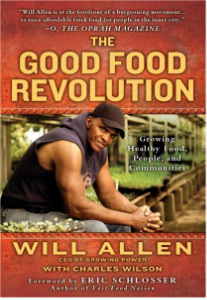 Will Allen's journey tells the story of perseverance and resilience that brings the local food movement home to everyone at every level. Lessons on faith, family, diversity, and community building are things we can all "grow" from! Mushroom cultivation, at its heart, is energizing tissue culture and maximizing spawn production. Mushroom strains can be cloned, expanded, and maintained on sterilized media. That may sound complicated, but in actuality mushroom cultivation can be easy, fun and rewarding. On Saturday, December 8, 2012 in the Buckeye neighborhood of Cleveland, we will be holding a workshop to make mushroom growing accessible to everyone. The focus of the course will be on using simple methods suitable to growing Shiitake, Oyster, Lions Mane, and Garden Giant mushrooms without the need for expensive equipment. Participants of this workshop will have the knowledge to expand techniques into the space they have available- from a city flat to a five-acre woodland - and get growing for personal use or sale to chefs and farmers markets. All workshop participants will go home with their own mushroom growing kit. life cycle of fungi; identifying edible fungi; mushroom compost; mushroom nutrition; spawn production; growing conditions; growing outside; woodland mushroom farming (logs, wood chips, and composts); indoor production; inexpensive start-up options for beginners (small and large scale); variety of cultivation techniques; organic pest management. 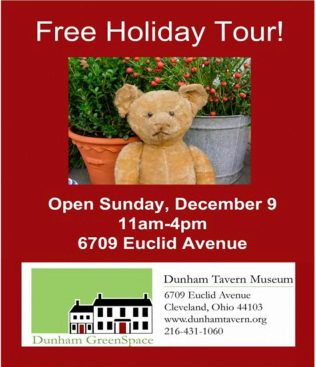 To register, go to Eventbrite at http://kulturedmushrooms.eventbrite.com/?ref=elink or call Kai at (216) 561-3200. *Cost of workshop includes mushroom growing kit and light vegetarian lunch. +Some scholarships may be available, inquiry early, as they are limited. KEEP POSTED FOR MORE DETAILS ON: FOLLOW-UP SESSION called "Get Growing" on Saturday, December 15 from 2pm- 4pm at same location will be an in depth follow-up session (or first stand along workshop) for questions and answers, mushroom tasting and more! For more info, contact Kai at kaiwingo72@gmail.com or (216) 561-3200.